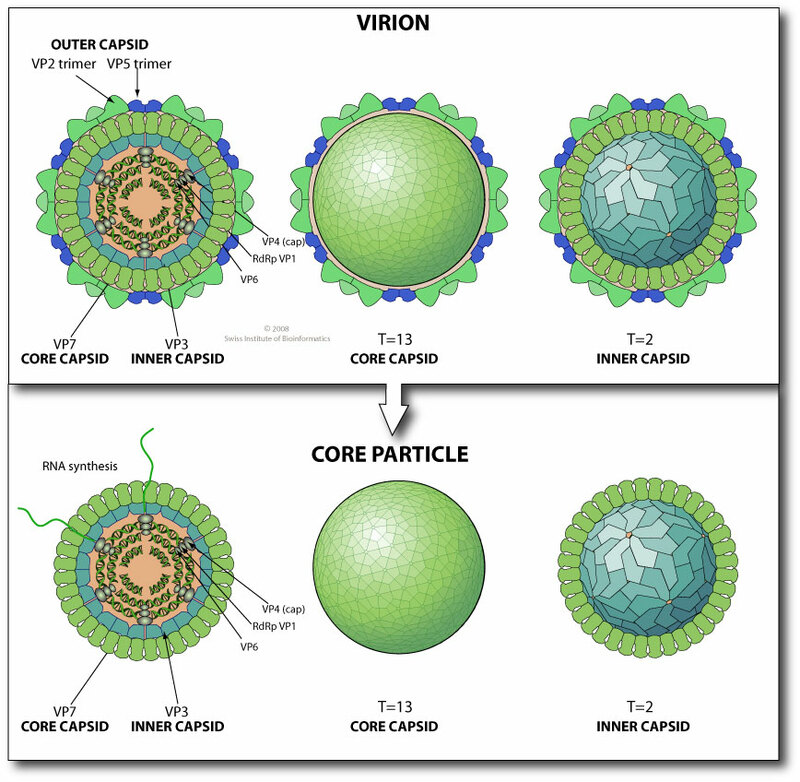 Non enveloped, icosahedral, non-turreted virion with a triple capsid structure, about 80 nm in diameter. The intermediate capsid has a T=13 icosahedral symmetry, the inner capsid a T=2* icosahedral symmetry. Segmented linear dsRNA genome. Contains 10 segments coding for 12 proteins. Segments size range from 822 to 3,954 bp (BTV). Genome total size is 19,200 bp (BTV). 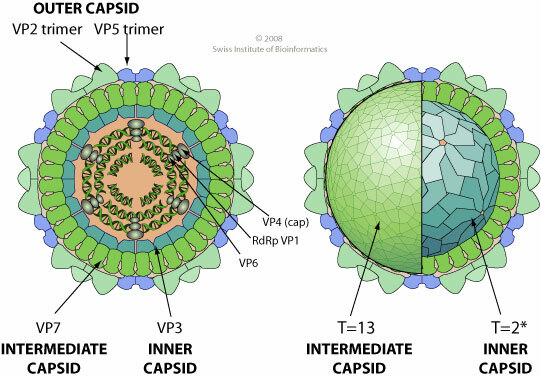 Attachment to host receptors mediates clathrin-mediated endocytosis of virus into host cell. Vector: mosquitoes, midges, gnats, sandflies and ticks. ASSOCIATED DISEASES febrile disease, headache, myalgia. Bluetongue virus mediates host cell apoptosis via caspases activaton (caspases-8, caspases-9, caspase-3, and caspase-7) . Bluetongue virus NS4 protein might also be involved in counteracting the antiviral response of the host .